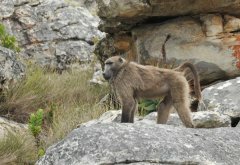 Baboons are fascinating animals and entertaining to watch, but feeding them can be a death sentence for these animals. 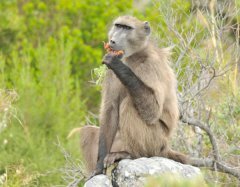 When baboons become familiar with human food they are more likely to raid dustbins and homes to find it. 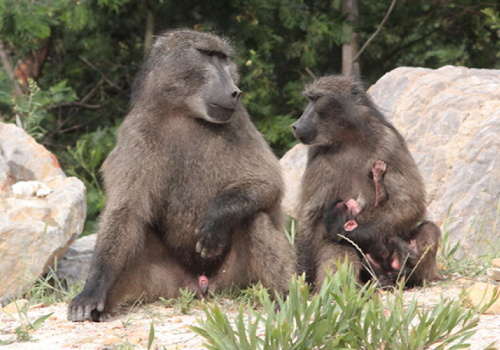 Baboons are opportunistic by nature and will automatically be drawn to areas that offer ‘easy pickings’ for them. 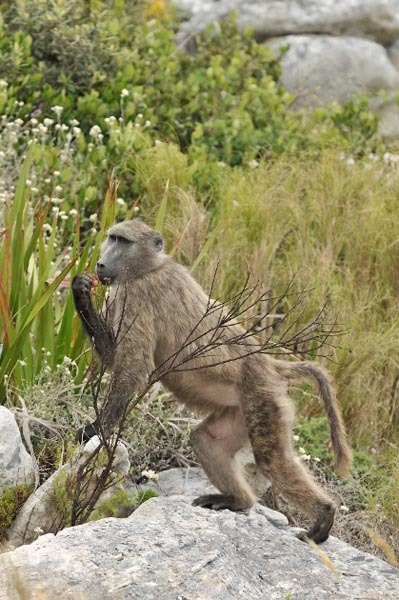 Do not feed baboons or make food available for them! 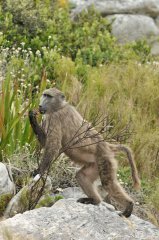 Baboons may become aggressive in their search for food. More homes are subject to raids once baboons are in town. 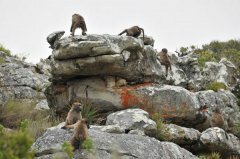 Baboons receive an unfair reputation as ‘raiders’ and may be cited for euthanasia under the Raiding Protocol. 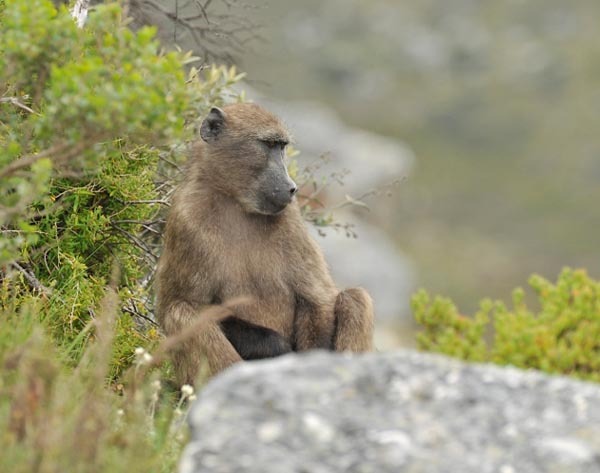 Baboons are also at greater risk of injury due to human interaction. The baboons are motivated to split up to bypass rangers or face ranger aversion methods in a daily battle to enter town. If you go on a picnic, drive through a known baboon area or visit a game park, keep all food out of sight. 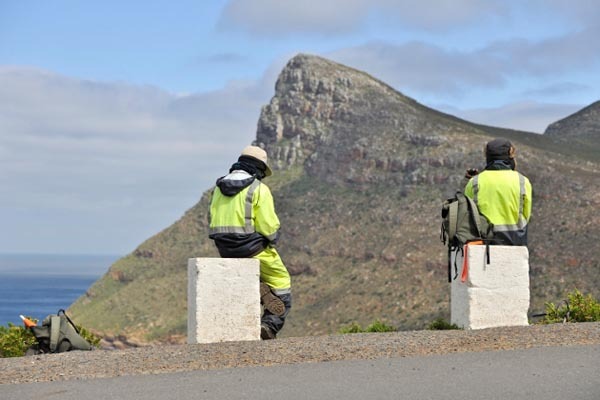 Place bags inside the boot of the car or under the seats. If baboons see food in the car they may try to get in. 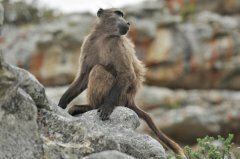 Always keep the windows closed and doors locked when baboons are near. 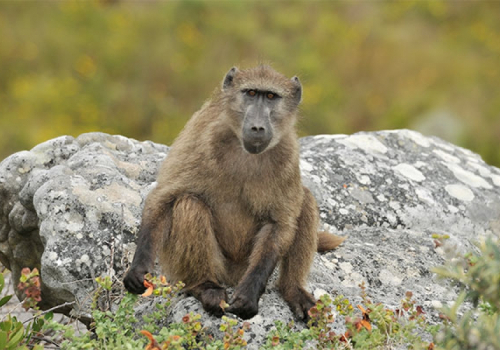 Baboons can be aggressive, so stay well away from them! If no baboon-proof bins are available (or they are full), take your litter home. 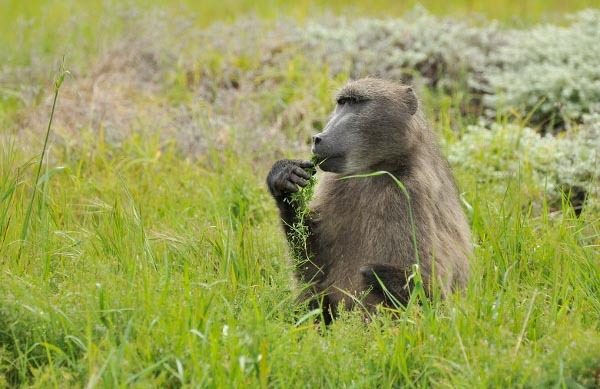 This prevents baboons from finding snacks in dustbins and becoming used to eating human food. 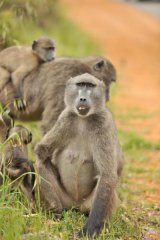 Do not get out of your vehicle when there are signs indicating that baboons are in the vicinity. If a baboon does succeed in snatching food from you, never chase the animal or try to get your food back. If a baboon steals your bag, it will go through the contents, remove any food and leave the rest. 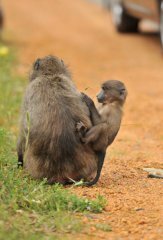 When the baboon moves off, you can safely retrieve your bag! 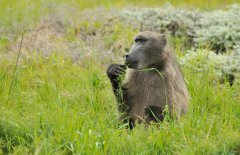 Feeding baboons is illegal and punishable by the law!